Air Botswana, the Botswana national flag carrier, took delivery of its first ATR 72-600 last Friday. The aircraft, delivered in Toulouse, is the first of a contract signed in July for two ATR 72-600s. The second is planned for delivery before the end of the year. 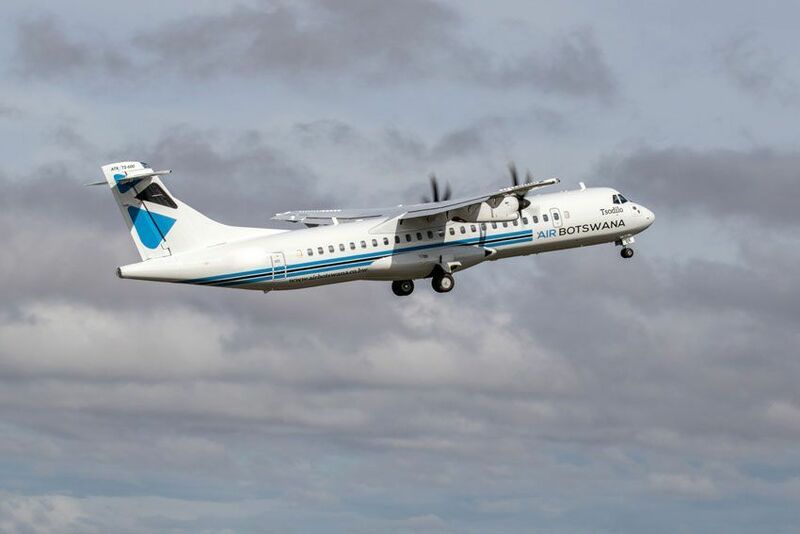 The ATR 72-600s will upgrade Air Botswana’s current fleet of three ATR 42-500s and one ATR 72-500s.The brand-new aircraft is configured with a 70-seat, dual class cabin and equipped with the latest avionics. With these two ATR 72-600, the Botswana airline makes a clear forward looking decision to benefit from a fleet with the most modern turboprops equipped with cutting-edge technology. ATR turboprops, with their outstanding performance on short runways, versatility and unbeatable economics, are a benchmark for operating in challenging conditions throughout the world and is perfectly adapted for Africa, the most diverse geographic region in the world. The ATR 72-600s for Air Botswana will be equipped with the PW127N engine, which features the super-boost option that provides the benefit of allowing a four-passenger payload from hot and high airfields such as Johannesburg, Gaborone and Maun. ATR sees a demand of 300 new turboprops over the next 20 years for the Africa and Middle-East region. Regional aviation provides essential connectivity around the world. A 10% increase in regional flights generates additional increases of 5% in tourism, 6% in regional GDP and 8% foreign direct investment. Turboprops are key in connecting communities around the world: 36% of all commercial airports rely exclusively on turboprops and 50% rely, also exclusively, on regional aircraft.